When Pierre Perrard began missionary work in Japan 50 years ago, he had no idea he was following in the footsteps of Mother Mathilde Raclot, his grandaunt of four generations past. There’s very little about the place to attract tourists. 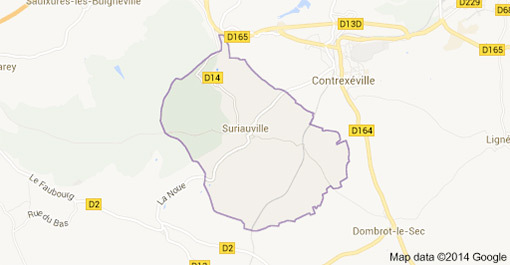 Suriauville, about three hours away from Paris in northern France, is a tiny farming village where little has changed in two centuries. When the villagers were shown a photograph of Mother Mathilde, they told Mr Chiba there was a lady in the neighbouring village who looked very much like her and they encouraged him to visit her. The lady, Collette Perrard, turned out to be Mother Mathilde’s great-great-great-great-grandniece. Collette and the rest of the family had no idea that an ancestor of theirs had founded schools in Asia. 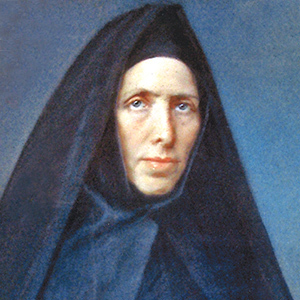 Mother Mathilde, born in 1814 and initially known as Justine Raclot, entered the Congregation of the Sisters of the Holy Infant Jesus when she was 18. In 1852 she led a small group of sisters first to Penang, and then to Singapore in 1854, to set up schools for girls. In 1872, she moved to Japan and founded the Futaba schools. Collette was delighted to learn all of this, not the least because her brother Pierre, without knowing about the life and work of Mother Mathilde, had taken a rather similar path. 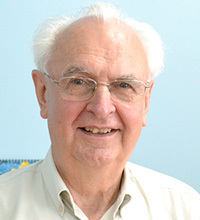 He was a chaplain advisor with a Catholic movement known as the Young Christian Workers and had lived for many years in Japan where he counselled young workers. Collette immediately called her brother, who then got in touch with the Sisters of the Holy Infant Jesus in Tokyo and the family connection was re-established. In May 2014, Father Perrard came to Singapore at the invitation of the IJ Sisters to take part in their 160th anniversary celebrations. Amongst other things, he visited the CHIJ Museum where he viewed the trophy that was presented to CHIJ when Mother Mathilde was inducted to the Singapore Women’s Hall of Fame. Did Mother Mathilde’s work and achievements in any way influence your decision to embrace the religious life and to embark on missionary work in Japan? My going to Japan was purely by chance, completely unrelated to my great (x4) grandaunt. I would say, however, that it was providential that the reunion with my relative took place in Japan. For this, I thank God. Since coming to know of her, I have taken steps to learn about her life. I am now fully acquainted with her 40 years of life and mission in Japan. I have read all her letters sent to France and they are, indeed, numerous. But I know little of her life in Malaya (Penang) and Singapore. This explains why I was so pleased to be invited by the IJ Sisters of Singapore to come here and become better acquainted with Mother Mathilde’s mission in Singapore. In Japan, Mother Mathilde is very well-known and when one speaks of the Sisters, her name is recalled, as is that of the founder of the IJ Sisters, Père Nicolas Barré. Tell us about your work in Japan. Mother Mathilde worked with young children and as an educator in Japan. I too work in a field of education but with young Japanese workers. For 50 years, I have been chaplain adviser to a Catholic movement, known as the Young Christian Workers (YCW). I live in a residence for young Japanese workers as their adviser. Young workers in Japan, especially in big cities like Tokyo, have a difficult life. Those who have an employment contract work long hours. They return in the late evening to their tiny apartment around 11pm, buy something to eat in the many mini-markets that are open all night, quickly take a shower and sleep around midnight to get up in the morning around 5am. In those circumstances, it is very difficult to sustain normal human relationships and make friends. In addition to experiencing fatigue, young people face loneliness. The bishop of Tokyo, Archbishop Okada, speaks of the desert of Tokyo. Many also work without a contract, a very precarious situation. They come to the House at all hours, after work, to meet with other young people to talk about their life and how to improve their daily lives. YCW is a movement for the education of ordinary working people. It is important that young people can meet up to discuss their problems, to be assured that they are listened to, to be appreciated and loved. The education system in Japan is competitive, and does not encourage solidarity and friendship. There are many suicides. Almost every day, one hears of a young person throwing himself before the train or metro somewhere in the capital. It is sad. Human life has less value than profitability and profit making. This is my work. I have to be present at all times, to be a listener to these youth, to help them in coping with life. It is a work of education, as was Mother Mathilde’s. What were the special qualities that led to her successful work in Singapore and in Japan? What do you most admire about her? I believe that Mother Mathilde’s great dream was to make Jesus known, loved and imitated. Her faith gave her the courage to live and work, especially with poor children, without experiencing discouragement. She was a woman of profound faith. Each day, in spite of many activities, she found time to draw aside for prayer. This was her source of strength in seeking out the very poor. Her dream was that of Jesus: she wished to restore dignity to those undervalued by society, to give them confidence in themselves and to assure them that they were loved by God. She never let go of her dream. She was a woman of faith who did not work alone. She understood the value of community support. Her success was not just hers, but a success shared by her Infant Jesus Sisters. She was passionate throughout her life. To accomplish such a mission as she achieved, one needed passion, a loving heart and resolute optimism. An example of her love for the lowliest in society is the following. When Mother Mathilde arrived in Japan in 1872, she was the first foreign missionary allowed in after a ban of some 250 years. Thanks to her, the first woman to be received into the congregation in Japan was a young lady from the Burakumin, a class despised in Japan at that time. Her name was Yamagami. The sisters of Yokohama found acceptance of this sister difficult but Mother Mathilde insisted on giving her rightful place. She became responsible for baptising over 3,000 persons. For Mother Mathilde, it was an honour to have an IJ Sister who came from the lowest class. What I admire most in Mother Mathilde is her great love of Jesus from whom she drew courage, perseverance in difficulty, her genuine love of the poor, her dynamism and her energy and her capacity to bring happiness to all, both men and women she encountered along the way.